When my cousin Amanda was visiting, she recommended Abraham Verghese’s novel Cutting for Stone to me one night over dinner in Cape Town. A few days later, I saw the book in the airport in Durban and felt that it was meant to be, so I bought it. I can now say, after reading it, that this book is unlike any novel I’ve ever read before, for several reasons: it involves conjoined — and then unjoined — twins, it includes grisly descriptions of surgeries on almost every page, it discusses the history of Christianity in both India and Ethiopia, and its author is a professor of medicine at Stanford, my alma mater. Impressive! The story of the two brothers is emotionally compelling and interesting, and full of mysteries that are sussed out as the novel progresses. Their birth was the product of a scandalous tryst between an Indian nun and nurse, Sister Mary Joseph Praise, and an English surgeon, Thomas Stone, who worked together in a small hospital in Addis; they were then raised by two Indian surgeons who adopted them at birth when their biological mother died in childbirth and their biological father peaced out; they grow up in a tumultuous time in Ethiopian political history; and they both become surgeons themselves, albeit with very different paths. However, the story of Shiva and Marion becomes a bit bogged down by the aforementioned long and torturously detailed descriptions of the many surgeries performed by the characters, some of which are truly stomach-turning. I had to do a lot of skimming so as not to feel nauseated by certain parts of this book. For those of you with a medical or nursing bent, you might have a different experience with this, but for me, I could have done without the intimate details of how, for instance, a fistula repair works. Just sayin’. “But I feel it’s not true Christianity. It’s a pagan sort of…,” he said, and patted his forehead. Verghese also talks about the ancient Christian church in India, in the state of Kerala. He explains that “Malayali Christians traced their faith back to St. Thomas’s arrival in India from Damascus in A.D. 52. ‘Doubting’ Thomas built his first churches in Kerala well before St. Peter got to Rome.” I had no idea Christianity in India predated the Roman Catholic Church — fascinating. I’d recommend this book for those looking for a slightly more exotic brand of historical fiction, those who are interested in surgery — particularly as practiced in the developing world in the 1950s-1970s — and medicine, and/or those who like a good betrayal-redemption story. The book is long, and graphic, but it’s emotionally satisfying enough to keep you reading, despite the gross surgery scenes. [In case you’re interested in other perspectives on this book, here is a lukewarm review from the New York Times and a more positive one from The Guardian). 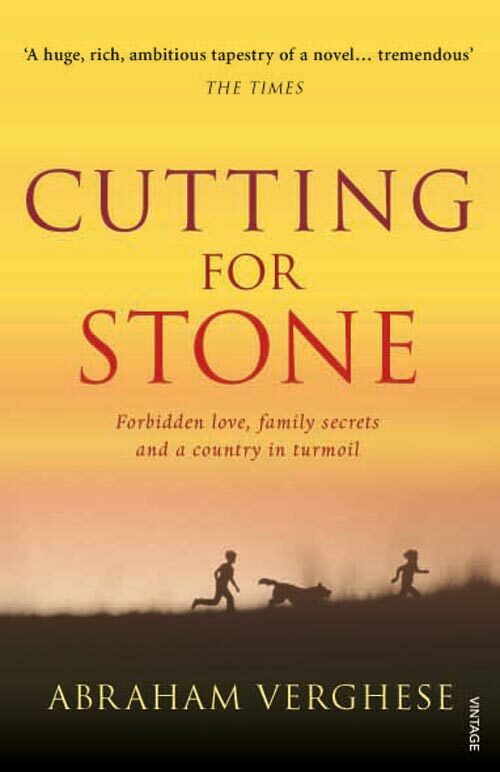 This entry was posted in Books and tagged Abraham Verghese, books, Cutting for Stone on May 21, 2013 by Stephanie.